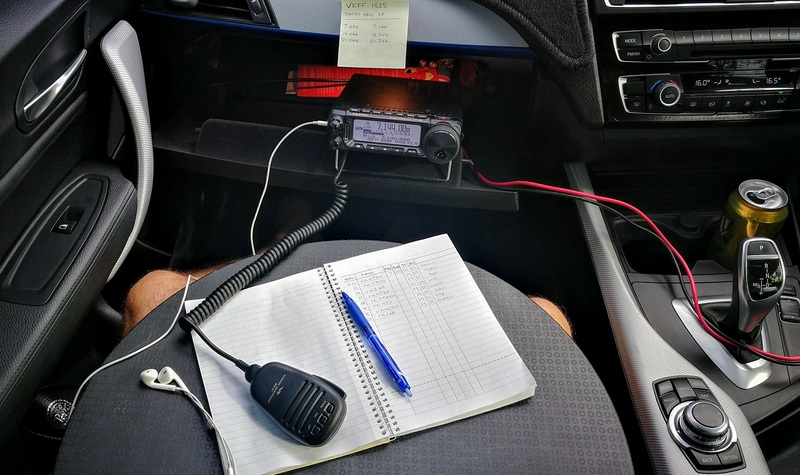 The new radio (FT-891) has arrived earlier this week and it was time to give it a go. I have spent some time putting together a linked dipole for 15, 20 and 40 m so this was the antenna of choice for this operation, supported by a 7 m squid pole. Just before I left home I read that there is a renovation underway in the park so I was a bit nervous about not being able to access it. 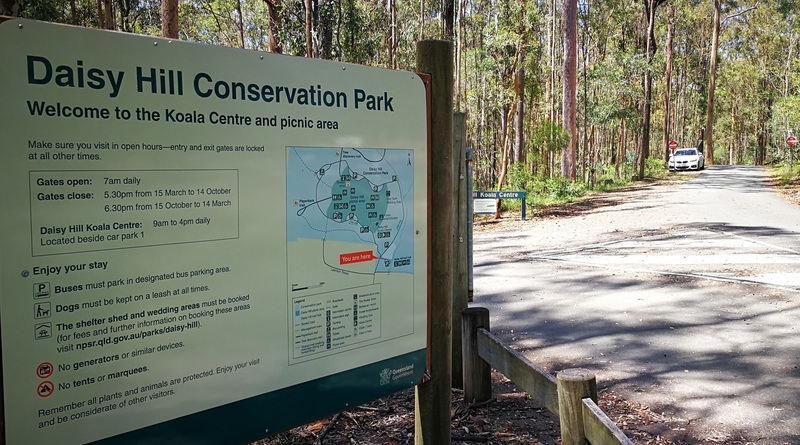 It turned out that the park was still open and accessible, but many parts were fenced off with obvious works underway to have it ready for the Commonwealth Games. The park was almost empty, just a few cars parked here and there and about 2-3 couples walking around, otherwise it was a ghost town. I took a drive around the park but the best position for the radio with highest elevation was just about 50 m inside the park. I parked there and set up the antenna about 3 m from my car. Any further and we’rd be talking about tangled wires around tree branches and endless scuffle with it … It was OK where it was. The feed point was at 7 m, while the end insulators were about 2 m high. The linked dipole worked well, it was a relatively quick job to bring the antenna down and change jumpers to another band, then shoot it up again. Having said that, getting out of the car and jumping back in it wasn’t the most comfortable job, considering that my “shack” was in my lap, with the radio sitting on the glove-box door. The round thing in my lap is the laptop base that I bought at IKEA a few years ago. It has a hard plastic top and the bean bag underneath and it’s perfect for this. See it here. Conditions were so-so. The 15 m band was dead for me, I just heard one JA station calling YB contest and that was it. On 20 m I could only work into VK3 and one VK7 but my signal was rather weak, S3-S4 most of the time. I also worked KH6PGA, fist mobile and later he called back from home. Out of 46 QSOs only 7 were on 20 m.
The 40 m band was one to go and the log started filling only once I switched to that band. Signals were strong from everywhere and my reports were mostly in the 57-59 range. 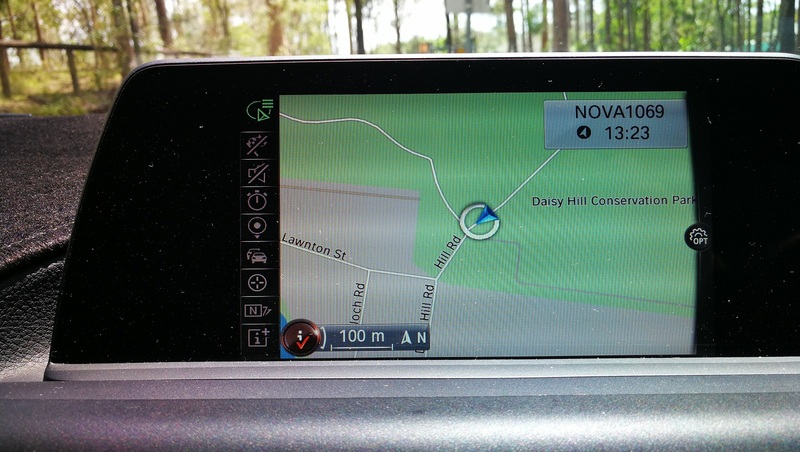 I think arriving to the location at 1:30 was way too early, I should have been there at 4 pm and on 40 m only. But hindsight is a beautiful thing. The afternoon was fun but … Murphy. Firstly my iPhone earbuds (fake ones, bought on eBay for next to nothing) didn’t work that well with the FT-891, the jack was a bit lose and I had to jiggle it all day long. The CW paddle had it. I had some issues with it last week, cleaned it and adjusted but it was even worse this time. It would randomly miss a dash or dot and keying on it was incredibly frustrating. VK7CW experienced it first hand where I couldn’t key C for the life of me, it would go VK7K … or VK7Y… so many times, I think Steve must have been giggling quite a bit. I first thought it was some RF in the cable but it wasn’t, it behaved exactly the same when I switched off vox and keyed without transmitting. It’s a Kent key (paddle) that was bought in 1992, I think it’s time for some shopping. And finally, the day that started with a beautiful sunshine ended with a bit of a storm and some thunder literally just above me. The last 20 minutes I was just sitting in the car and playing on my phone, being unable to take down the antenna in a heavy rain. In the end it was an exciting day, 46 QSOs in the log and the WWFF activation of the park is in the bag. Thanks everyone for calling and helping me get over the line 44. No VK1, 5, 6 QSOs. 73 and see you again next weekend from somewhere else. Mike VK4DX.